Ever since Bonang Matheba's public breakup with AKA, fans have been lurking on her timeline, waiting for her to spill the beans on whether she has found someone else. 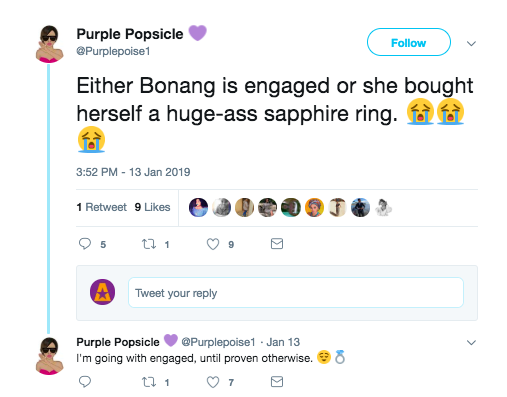 In August last year, Bonang broke the internet with tweets that alluded to the fact that she had moved on and was in a happy relationship. 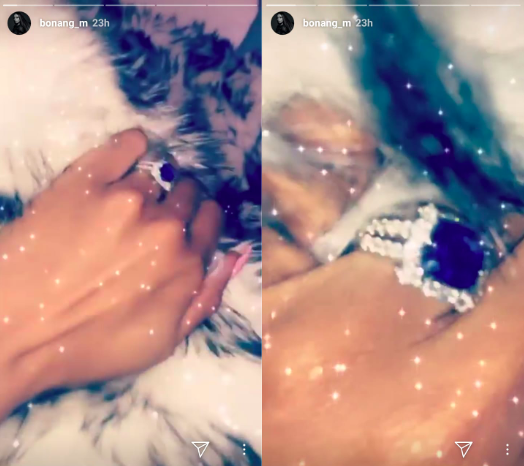 Although some fans had assumed that she was purely just penning down lyrics, her recent post on her Instagram stories of her showing off a sparkling diamond ring on her ring finger, has sparked those relationship rumours again. 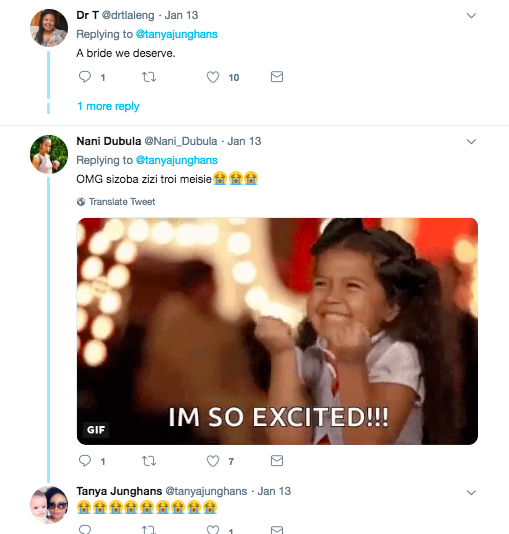 Some of her fans took to Twitter to question whether she had just decided to purchase herself a ring and show it off, while some - assuming that it was indeed an engagement ring - celebrated and congratulated her on her "proposal".